As student body president, Idalis Forté, ’19, is living up to her billing. 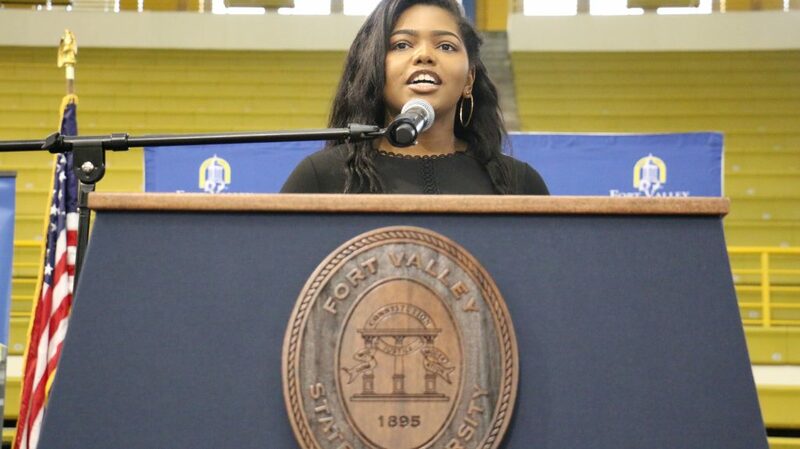 Her last name, Forté, means “something at which someone excels.” The media studies major from Atlanta, Georgia has been excelling as a student leader since she stepped on campus, learning how to move the levers of power by serving as freshman and sophomore class president and student body vice president before being elected to be the official voice of her peers. Now, she’s leading the Student Government Association (SGA) on a mission to enhance school pride, upgrade facilities, and increase student involvement. She has tasked her administration with rethinking the way student events are managed, and empowered members of her cabinet to more directly take responsibility for catalyzing positive change in the areas under their jurisdiction. Donneea Campbell, ’19, is Forté’s partner in the trenches of student representation. As student body vice president, the Decatur, Georgia native presides over the Student Senate and operates behind the scenes to bring SGA projects to fruition. Forté and Campbell have already taken a hard look at the SGA Constitution and are working to move elections earlier to give new administrations more time to plan. 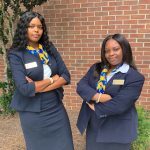 In addition, they have recommended changes to mandate the direct election of student senators for the first time in FVSU history, so that more SGA members are accountable to their constituencies. Currently, student senators are appointed by the SGA president. They also reengineered student activities for Homecoming Week, eschewing the production of a major concert so more smaller- scale events could be held, such as a large “house party” featuring hip-hop artists. They’ve worked with Fort Valley Mayor Barbara B. Williams and other city leaders to create a cross walk across State University Drive so students can more safely walk across traffic. Already, they’ve seen more consistent involvement from student leaders. “I think SGA as a whole has been a lot more in the public eye and active this year versus previous years,” said Campbell. Making historic changes doesn’t intimidate this team, however. Although they weren’t elected as part of the same ticket, they have found that they work well together. 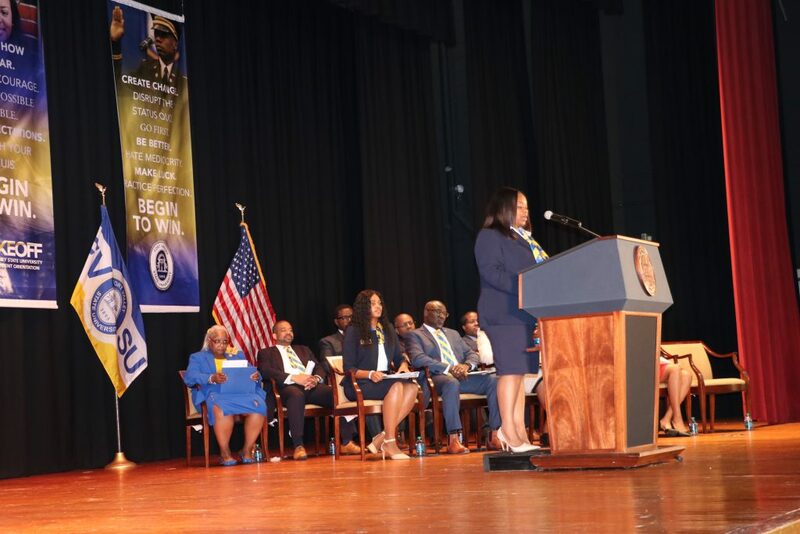 While Forté is naturally a vocal leader, Campbell is comfortable focusing on the details, planning meticulously and making sure everyone understands what they need to do to accomplish the administration’s goals. It’s a skill she is consistently working to refine. This past summer, for example, Campbell interned with Land O’ Lakes in Minnesota, managing an interdepartmental team on a project to save $80,000 by redesigning how commodities are processed and distributed in Canada. The experience, she said, helped her understand better how to communicate with people and manage teams. Forté and Campbell have worked to make sure SGA is more accessible to students, beginning with a town hall meeting at the start of fall semester to connect students with key administrators. They have worked especially hard to be highly engaged in social media. That has allowed them, she says, to shut down rumors and negativity, especially the kind that occurs on Twitter. A highlight of their tenure, the two said, has been a greater spirit of unity among the student body. Elevating the sense of historically black college love was a key part of Forté’s platform as she ran for office. She feels that her passion for change is helping her be effective and is excited to work with a president she believes cares about student growth as much as she does.